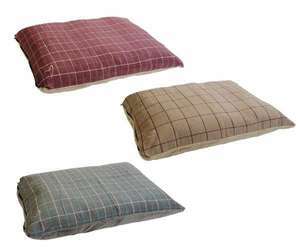 The Gor Pets Camden Comfy Cushion adds a contemporary look to any home. 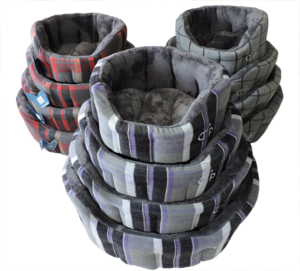 The Camden Comfy Cushion by Gor Pets offers a fresh new look while providing a cosy pillow for your dog to crash out on. The cool grey shades of the Camden Comfy Cushion infuse with fresh, eye catching colours to give them that special touch. 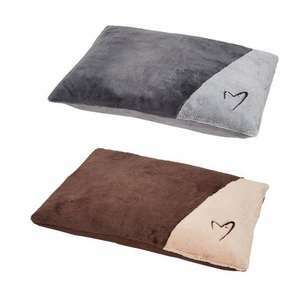 The Camden Comfy pillow has two removable covers for easy washing. The inner cover is water resistant to protect from moisture while the outer cover is made from cosy fabric. 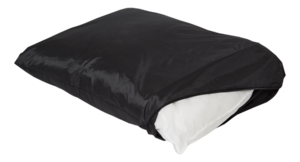 The Camden Cushion is filled with encased 100% polyester blown fibre, allowing for fibre to be evenly spread. Please Note: Replacement internal cushion and inner moisture resistant liner also available - see Replacement Parts listed separately. No product reviews! Why not write one? We are a family run Online Pet Shop and we believe you get out what you put in. With this in mind we have carefully chosen premium brands, and natural, high-grade foods and treats, to ensure you can confidently choose products that are healthy, hard wearing and stand the test of time for even the most active pet.